Malawi, with 44% of its population under the age of 14, has the largest number of youth in its history (Population Reference Bureau, 2014; World Bank, 2016). This increased population of youth has also been accompanied by a rise in the risk of gender based violence against children and young people. Malawi’s Ministry of Gender, Children, Disability and Social Welfare’s Violence Against Children and Young Women in Malawi survey highlights the current heart wrenching reality surrounding physical and sexual abuse towards children. According to this survey, 60% of children within Malawi have faced some form of violence within their childhood (Ministry of Gender, Children, Disability and Social Welfare, 2014). Malawi’s high population of youth can be attributed in part to the HIV/AIDS pandemic. The Ministry of Gender, Children, Disability and Social Welfare (2014) indicates that 19% of children under the age of 18 do not live with their biological parents and “17% are orphans or vulnerable due to extended parental illness, including an estimated 650, 000 orphans attributed to AIDS” (p. 39). With the passing of their parents, child-headed households are formed whereby, the older children must work to support their siblings. Without the financial support of parents, many children have been forced to work in the agricultural and domestic sectors as a means to earn funds for meals rather than attending school (Ministry of Gender, Children, Disability and Social Welfare, 2014). Furthermore, when left on their own, children from child-headed households are at greater risk of becoming victim to physical and/or sexual abuse. 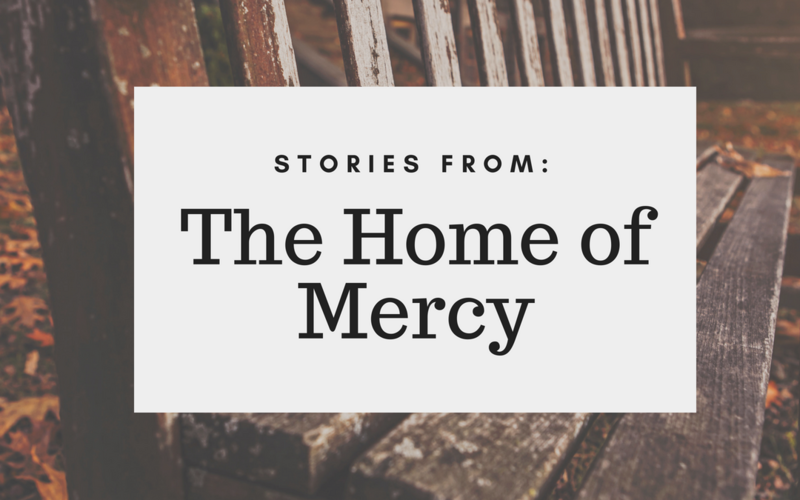 A GBV volunteer shared the story of two young girls who have moved into the Home of Mercy this past year; Faith and Hope (names have been changed to ensure their privacy). Faith & Hope are both HIV-positive. They lost their parents to AIDS in 2012 at the age 1 and 4 and have been living under the care of their 13-year-old sister since. In the year prior to their arrival at the Home of Mercy, the roof of Faith and Hope’s home collapsed. When it would rain in the night, the water would flood the ground of their home where they would sleep forcing them to stand, hovering near the edges of their home, to try and avoid the rain throughout the night. In the days following, the dampness of their house, due to the rain, caused their health to be compromised. Further, without a parent in the household, the girls had no one to remind them to take their antiretroviral (ARV) medication on a daily basis despite the importance of following a strict regime with regards to their medication administration. This further compromised their health. Faith and Hope did not have access to schooling and remained dependent on odd jobs such as fetching water and washing people’s clothes to gain access to their basic needs. Their life circumstances placed them at greater risk of experiencing physical and/or sexual violence. Upon witnessing the living conditions of some of the child-headed households that they support, volunteers raised their concerns with our local partner and presented the need to open up a home for children like Faith and Hope. While, the current child-headed household initiatives work to provide daily visits both before and after school as well as daily feeding programs, volunteers indicated that in some cases, children needed to be removed from their living conditions to ensure their safety. To reduce the children’s vulnerability to future danger, including physical and sexual violence, Faith and Hope were relocated to the Home of Mercy facility. Five children currently live at the home with two house mothers who are trained counsellors. At the home, the children no longer have to seek out employment to purchase food and are now enrolled in elementary school. Volunteers explain that when the children arrived, they were amazed by the ‘luxuries’ they were provided with including their very own mattress and blankets. At the home, the children are also provided with three meals a day and volunteers are there to ensure that the girls take their ARV medications on a daily basis. Overtime, the children have developed strong, trusting relationships with the workers and now feel safe and at ease within their new surroundings. The children who reside at the home are now enabled to simply be kids. In addition to providing a safe and healthy residence for children, our partner’s ministry also offers bi-weekly post-trauma support programs for children in the community who have been sexually abused. Every second Friday, 15-30 children, between the ages of 4 and 17, attend programming at the Home of Mercy facility. After being victimized, many children live in tremendous fear and become withdrawn. Through this programming, children are given the opportunity to play together and develop friendships at their own pace. Children also have the opportunity to spend time with trained counsellors and other young female survivors who offer their time to provide support. This weekly program offers children with a safe place to build trusting relationships with other children their age who have endured similar circumstances while also receiving professional counsel. While this home does not maintain the capacity to house all the child-headed households in the area, our partner’s dedicated volunteers continue to work very hard to ensure the safety of the 15 child-headed households that are in close proximity to the home. Volunteers visit every household, both before and after school, to ensure that children are fed and are in good health while also working to reduce their vulnerability to violence. If you would would like to partner with those on the ground in Malawi financially or in prayer, feel free to get in touch with us at info@wowmission.com.